There were 552 press releases posted in the last 24 hours and 153,500 in the last 365 days. Terik Hashmi, business consultant based in Miami, FL, researched Online Reputation Management (ORM) issues for months and interviewed ORM experts. 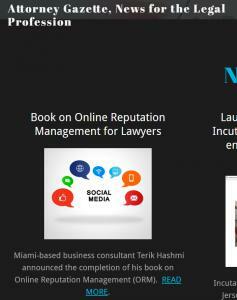 MIAMI, FLORIDA, UNITED STATES, July 10, 2018 /EINPresswire.com/ -- Miami-based business consultant Terik Hashmi announced the completion of his study & book on Online Reputation Management (ORM), specifically for lawyers. At the pre-publication reception at an art Galleria in the chic Garment District of Miami, Mr. Hashmi announced that the book will be available soon on Amazon and other outlets. 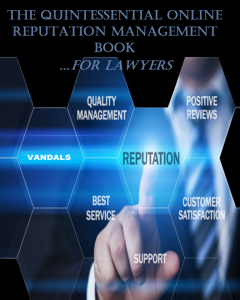 Mr. Hashmi has spent months researching this book and conducting countless interviews with practicing attorneys and professionals in the area of Online Reputation Management (ORM). Among his findings were, as to Online Reputation Management, that most attorneys focus on comments posted about them rather than positive information in general. The result is that an attorney about whom a negative comment has been published attempts to rectify the situation, rather than publicizing positive information that will have a tendency to supersede any negative comment. The conclusion is that it is difficult to improve one’s reputation with online comments. There as to be substance that is recognized by search engines such as Google as "valuable" to other users. “Content is more important than Comment,” quipped Mr. Hashmi. Mr. Hashmi thanked in particular his editor, Timeless Words. The book is expected to be available on www.amazon.com shortly. Terik Hashmi is a business consultant serving businesses in the marketing realm. 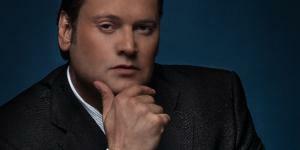 Among his clients are a medical service provider and an Online Reputation Management company. 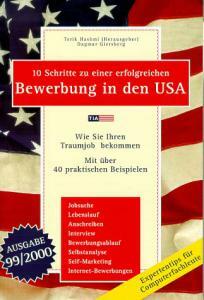 He previously published a book on successfully applying for jobs (published by TIA publishers, Germany, available on www.amazon.com). He holds two bachelor degrees in Political Science and in Diplomacy & Foreign Affairs (Miami University, Ohio), a Juris Doctor from Cleveland-Marshall College of Law (Cleveland, Ohio), and a Master of Laws (LL.M.) from McGeorge School of Law (Sacramento, California). He has assisted notable businesses and people, including former President of Venezuela, Carlos Andres Perez, to prevent his forced removal from the U.S. and potential execution at the hands of Venezuelan strongman Hugo Chavez. Terik Hashmi is a former Professional Basketball Player during the 1988-1989 season (European A League – “Club Centz” Luxembourg), where he had the opportunity to compete and travel throughout all European nations.